Are you able to get an accurate inventory of your network? Can you rebuild any system, anywhere, in less than a day? Can you push software and configuration changes, including patches, remotely? Do you have tested backups? Do you have enough IT/DevOps to keep your environment stable? Do you have a tested IR plan? Do you have proven data sources (logs, netflow, full pcap, endpoint telemetry)? If you answered no to any of those questions, you probably shouldn’t be too worried about SHA collisions. Today the SANS Internet Storm Center raised it’s Infocon Threat Level to “yellow” due to the recently announced backdoor in Juniper devices. I wouldn’t have even known this if someone hadn’t pointed it out to me and then I felt like I was in an episode of Star Trek. I kept waiting for the ship’s computer to make an announcement so I could strap myself into my chair. While the level names are different, the colors seem to mirror the old Homeland Security color-coded advisory system, which was eliminated in 2011 due to questions over it’s usefulness. I have a similar experience with SANS’ Infocon and the reactions from management. Pointy-haired Fearless Leader: OMG, the SANS Infocon is at YELLOW!!! The end of the Internet is nigh! Much Put-Upon Security Architect: Please calm down and take a Xanax. It’s just a color. Tin Foil Hat Normal levels of healthy paranoia You can still check your email and watch Netflix. But remember they’re always watching…. Adult Diaper It’s damn scary out there. Trust no one. Remember to update your Tor browser. Have your “go bag” ready. Fetal Position Holy underwear Batman, it’s the end. Destroy all electronic devices and move into a bomb shelter. The Zombie Apocalypse is imminent. I know many of you are still trying to figure out what I do for a living and that you don’t really understand my Twitter feed. Some of you are confused why I give you a hard time about your poor passwords or the fact that you forgot to use BCC in an email. Let’s just say I have your best interests at heart when I take the time to alert you about a serious security vulnerability. If I take the time to let you know about some new nastiness making the Internet a dangerous place, please update. #Include <long-winded technical explanation about SOP violation, RCE, etc…>. I care about you and know that you don’t have the time or energy to keep up with the machinations of the black hat community. Just know that it’s bad and I’ll feel terrible if your Gmail account gets hacked. Mostly, because telling friends their accounts have been hacked feels like telling them someone ran over their dog. Festinger, L. (1957). A Theory of Cognitive Dissonance. California: Stanford University Press. For your consideration, what follows is the hypothetical discussion between a Pointy Haired Fearless Leader and a Security Analyst regarding the possibility of an organization’s large, web application having been breached. The Frankenapp in question was creatively duct-taped together around the same time that dinosaurs roamed the earth. All characters appearing in this work are fictitious. Any resemblance to real persons living or dead, is because truth is often much funnier than fiction. SA: There’s a possibility our Super Amazing Custom Web Application has been breached. PHFL: (Breathes into paper bag as starts to hyperventilate. In between breaths) How did this happen?! SA: Same way it always does. A user was phished. PHFL: But why didn’t our Extraordinarily Powerful Security Tools that cost $$$$$ stop this?! SA: Because they don’t always work. Especially when they don’t have all the data necessary to identify malicious activity. PHFL: But we paid $$$$$ because the vendor said it would stop APTs! SA: This isn’t an APT. PHFL: But we have Super Powerful Web Application Firewalls! SA: They’re still in learning mode, because the web developers won’t work with us to identify false positives. And a WAF won’t detect phished credentials. We need multi-factor authentication to prevent this. PHFL: But MFA annoys the users. What about the network firewalls?! SA: Our firewalls wouldn’t have caught this and our web filtering system hasn’t worked for months. PHFL: Do we know what accounts were compromised? SA: We don’t have enough data. We don’t really have many application logs and the ones we do have aren’t being sent to the SOC to be correlated. PHFL: Why wasn’t I told about this tragic and desperately horrible situation?! SA: I’ve been telling you every week since I took the job. I even hired someone to sky-write it twice. I’m also working on an off-Broadway musical called, We’re About to be Pwned Because Our Visibility Stinks and Our Security Tools Are Broken. PHFL: Well, this is clearly your fault. This week’s latest stunt hacking episode seemed to cement the security community’s reputation as the industry bad boy. The Wired car hacking story demonstrated an absence of the responsible disclosure most security researchers strive to follow. While the story indicated that Miller and Valasek have been working with Chrysler for nine months and that they’re leaving out a key element of the published exploit, there’s still going to be enough left to cause some mayhem when released at Black Hat USA next month. Moreover, the story’s writer and innocent bystanders were often in harm’s way during the demonstration on a major highway in St. Louis. The annual Black Hat conference in Vegas is an adult version of “look what I can do” for the security set, perfectly placed in the city’s carnival atmosphere. A grand spectacle where every breaker competes to get Daddy’s attention by taking apart the toaster, or car in this case. The media loves this stuff and floods outlets with paranoia-inducing stories the few weeks before and during the conference. What’s so disturbing about these events isn’t the frailty of our technology-enabled stuff aka “Internet of Things,” but the need for a subset of people to focus on its faults. The typical rationale from many of these researchers for their theatrical, hype-infested releases during Black Hat and other security conferences, is that they can’t get any attention from manufacturers when going the path of responsible disclosure. I would argue that this behavior is more about ego than concern for the safety of consumers, because there are plenty of principled researchers, quiet heroes who slog along filing bugs with vendors, unknown and overlooked by the general public. Most idiots can blow up a cathedral with enough C-4. 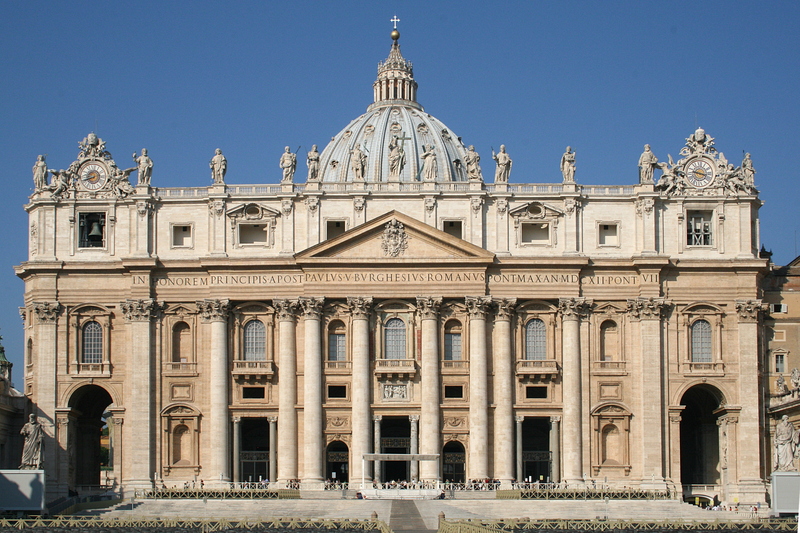 But it takes a Bernini or Michelangelo with hundreds of talented, dedicated artisans, to design and build one. People who will never be remembered by tourists standing in the middle St. Peter’s, glorying in the majesty of such an achievement. It’s probably insensitive of me to do this in a blog post, but I can’t trust myself to be alone with you anymore. The relationship started out great. Those cute kitten and puppy videos would get me through the most stressful days, when I just needed to turn off my brain off after a day of navigating the network poopfest at work. I wish we could go back and start over again, but after three patches in a week, I’m done. This just isn’t working for me anymore. Okay, I know we could still have some fun times, but I simply don’t feel safe with you anymore. So I’m going to have to end it. And to be clear, it’s not me, it’s you. P.S. 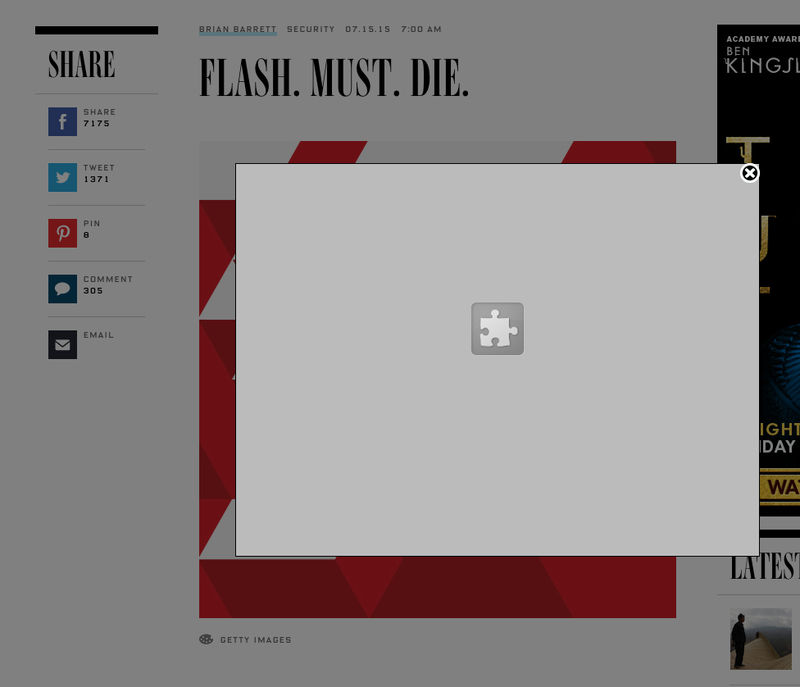 I’d just like to point out the irony of a recent Wired article, “Flash.Must.Die.” It has a Flash popup.